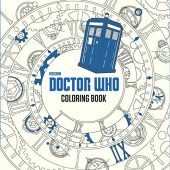 If you are new to the adult coloring world, you probably need a great starter set of colors to get you going. Many people struggle with colored pencils, as their tips can be easy to break. Many markers bleed through the pages, and crayons are just to thick to work on the fine details that adult coloring books offer. Gel pens are a wonderful way to get going, offering ease of use plus a huge variety of colors and shades (even glitter and metallic). This package is great buy. The pens have fine to medium points (0.6mm, 0.8mm, and 1.0mm.) and the ink flows easily without saturating the pages or bleeding through. 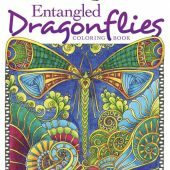 This set includes 120 colors, including glitters, metallic, neon, pastels and more, plus 120 refills. They come in a nice case that keeps them well organized. 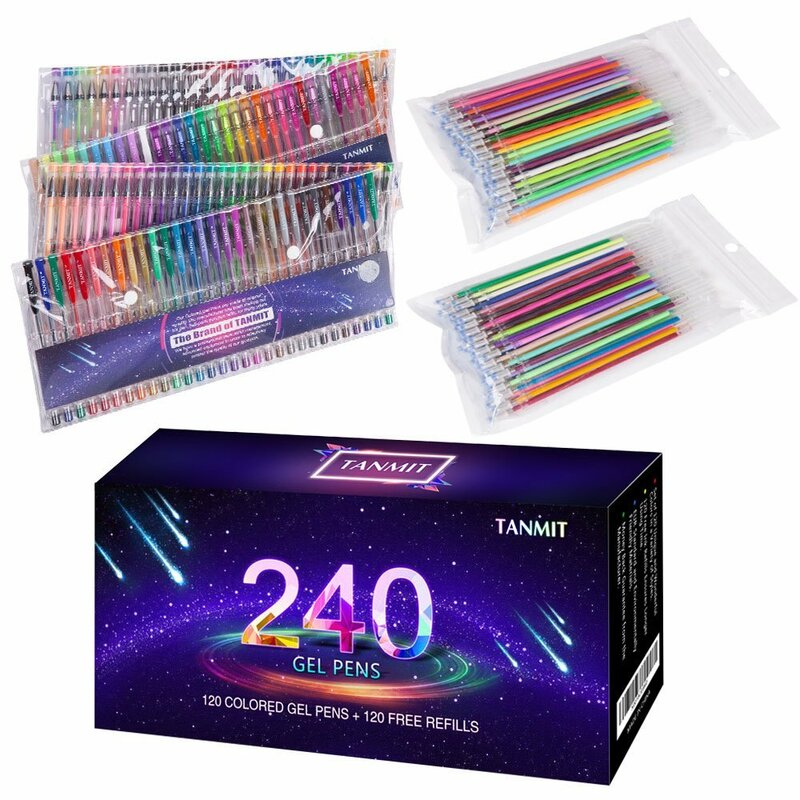 Tanmit gel ink pens are non-toxic, acid-free and conform to ASTM D-4236 standards, and they come with a 100% guarantee. These pens are well made, especially for the price. The lids snap securely onto either end. They are comfortable to hold and work with. The ink flows well and the colors are great. 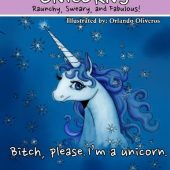 I like the range of fine to medium points so I can work all the fine details of my coloring books as well as cover larger sections.